A man who swindled almost €19,000 from a woman he met through a dating website “is very, very lucky” to walk free from court, a judge said today. At Ennis Circuit Court, Judge Gerald Keys made his comment after imposing a suspended three year jail term on Alan Custy for ripping €18,950 off from a vulnerable, gullible, trusting woman he met online. 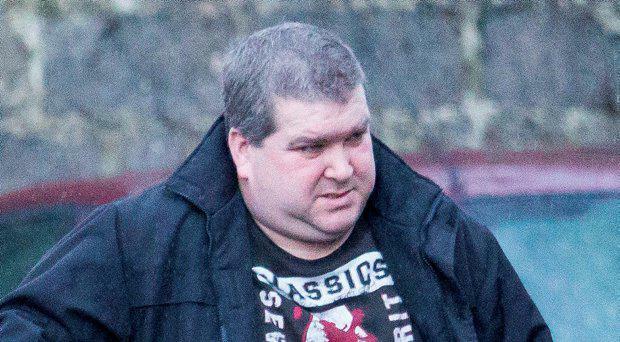 Mr Custy (42) of Dun na hInse, Ennis hatched a scheme where he stole by deception around €18,950 from the ‘vulnerable’ woman he met through the dating website smooch.com over five months in 2013. The 47-year old Limerick woman, who lives alone, was the second online female victim of the scheming Custy who previously received a three year suspended jail term in February 2012 for blackmailing a married woman who he met on connectedsingles.com. In that case, Custy posed as a Michael Lynch and in the smooch.com case, the father of two posed as an Alan Casey. In sentencing on Monday, Judge Keys said that he regarded Mr Custy’s previous conviction for a similar offence as an aggravating factor in the case and viewed it as “very, very serious”. In relation to Mr Custy’s most recent offence, Judge Keys said that the way Mr Custy obtained the monies from the woman was ‘terrible and horrible”. Counsel for Mr Custy, Pat Whyms BL said that his client has paid off the entire €18,950 to the woman and his final instalment was €750. Mr Whyms said that the €750 was €400 more than required but that his client indicated that the additional amount be paid to the woman. Mr Whyms said that his client has apologised for his behaviour. Judge Keys said that the mitigating factors in the case were that Mr Custy has pleaded guilty; has repaid all of the monies and has not come to the attention of the Gardai since his plea of guilty in 2015. Judge Keys said that he would suspend the three year prison for four years. Det Garda Claire O’Shaughnessy previously told the court that the female victim in the case lives alone and was trusting, gullible, had health problems and suffered from self-esteem issues when looking for romance online in June 2013. At the sentencing hearing in relation to the smooch.com case, Det O’Shaughnessy said that the victim had become suspicious of Custy and contacted Gardai in November 2013 after coming across an online newspaper account of his blackmailing case. However, by that stage, the woman had handed over €18,950 to Custy who said that he needed money to pay off the Revenue; the purchase of plant and machinery; for diesel and the payment of staff who were carrying out fictitious grass cutting contracts with Clare Co Council and Limerick Co Council. The woman’s victim impact statement read out by Det O’Shaughnessy said Custy’s “abuse of my good nature completely shattered my confidence in men and people in general. I don’t trust my instincts anymore and I have lost confidence in myself”. She said: “Before I took people at face value and built relationships easily. I am now a nervous participant and suspicious of new people and getting to know them. I am not the same carefree vivacious person I was before I met him. Det O’Shaughnessy said that the Garda investigation involved going through hundreds of emails and text messages while stating that Custy and the woman met several times after making initial contact through smooch.com.